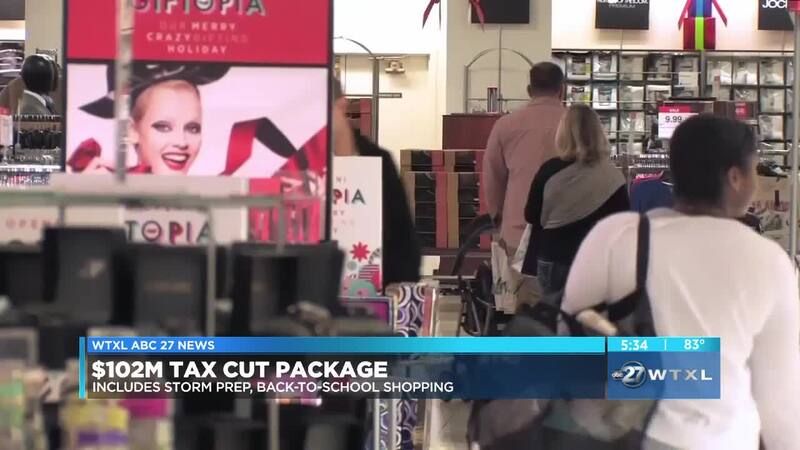 TALLAHASSEE, Fla. — A pair of sales-tax “holidays” for storm preparation and back-to-school shopping and a tax cut on commercial leases dominated a package that advanced Thursday out of a key House committee. The biggest feature of the $102 million tax package is a business-backed reduction of the sales-tax rate on commercial leases, from 5.7 to 5.35 percent. The plan also includes a back-to-school holiday period in early August that would provide an estimated $33 million in savings for shoppers. The other tax holiday, providing discounts on such supplies as batteries, tarps, and portable generators, would be timed around the June 1 start of the annual hurricane season, according to bill sponsor Bryan Avila. “Certainly, with what occurred last year in the Panhandle, we want to make sure that obviously we are prepared and our residents are prepared for any natural disaster," said Avila. Several Democrats, including some who voted for the measure, expressed concern that the package goes beyond tax reductions. The House measure also includes language that would seek to ensure charter schools receive a portion of tax dollars from voter-approved referendums. The $102 million package is being set up for conference talks with the Senate, which has been rolling out potential tax-reduction measures in individual bills.